"Dad, how do you drive your car so efficiently? I mean, when I tried to learn it last week, I thought it needed so many factors to be controlled simultaneously - the clutch, brakes, gear, steering, looking in front as well as rear, indicators and above all this - mistakes from other drivers as well as pedestrians. Isn't it just too much to handle at the same time?" I just passed on a smile. "Dont just smile Dad, and you know by the end of my 15 minute training session, I was dead exhausted, and I see that you drive 2-3 hours every day without any sign of discomfort. What do you do Dad. Tell me please." "Your observation is right dear...That has become possible because my car driving process has been optimized and has been made very efficient, so as to lose less of energy during driving." "Optimized? To conserve energy? How do you do that?" "It is simple. Practice, Practice and Practice. Once our body practices the same thing over and over again, our brain neurons understand the repeat-ability of the actions and then learn to preempt the next action and therefore require less of decision making effort. Essentially, our brain trains itself as per the skill needed, it creates new shortcuts and makes the entire process very energy efficient, optimized and automated." "Wow !! Are you joking?" "No dear, I am not. This is our body's natural intent to optimize everything that is done repeatedly, so that it can do it efficiently"
"This sounds so cool Dad." "And the beauty is that it does not only apply to car driving. It applies to every aspect of life." "I mean, you can make your brain work more efficiently while performing your day to day routine tasks, thus saving immense energy which you can then utilise in your studies or any other constructive activity." "Discipline. That is the key. If you do the same act every day at the same time - and repeat it for days and months and years together - your brain automates the entire process of performing those tasks and creates short cuts to optimize the energy usage to perform those tasks. This act of repeating the same tasks everyday at the same time is what our ancestors termed as Discipline." "But Discipline is boring Dad, we all need change, we all want a break from the routine. At least I feel the need." "Well, we must take breaks and go on vacations and so on. That happens once in a few months. But what I am talking about is daily discipline." "How can we optimize ourselves in our daily routine life?" "By having a fixed time everyday for the same task - however small the task may be." "I think it will make my day very boring, isn't it?" "That is just a mindset. It is all about saving your energy from routine tasks and then investing them to achieve our actual goals. It is just simple common sense. 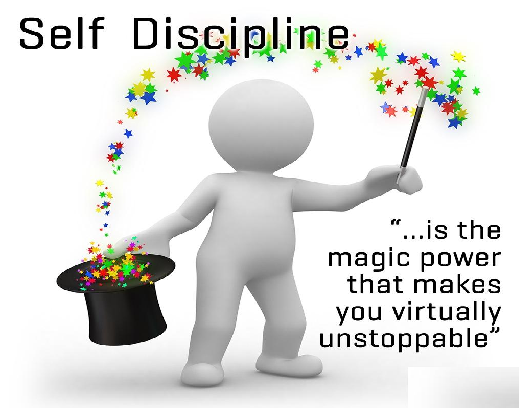 If you do not discipline, your brain will not be able to automate tasks and continue to work inefficiently and thereby losing energy on the way of performing those routine tasks - energy which it could have very well utilized in something more constructive." "Hmmm. I am getting your point, And how detailed these routine tasks need to be?" "As detailed as you can get. There is no upper limit to the efficiency that your brain can achieve. Even if you plan to go for morning walk or playing outside or even brushing your teeth, do it in a fixed routine at a fixed time every day. With time, our body will save energy - a lot of energy when multiplied by the number of times that you are expected to do that task in your life. The impact of this saved energy will be seen in all other aspects of life, like your studies. You will find that you have become more efficient in your studies and other areas of work." "OK, let me give it a try Dad. And its 10 pm now. Time to go to bed. This is going to be my time everyday for the rest of my life, Dad. I hope my brain gets more efficient on this aspect." We smiled and went off to sleep. Everyone gets 24 hours. Everyone gets some or the other constraints. But some people rise to the zenith while most get confined to the nadir, or an average life at the most. Small and simple changes like these can bring a huge transformation in our lives.